LUSCA Caribbean International Fantastic Film Fest is the mayor international film festival in the caribbean devoted to Sci-Fi, Thriller, Fantasy, Dark Humor, Anime, Animation, Adventure, Bizarre and the very best of Horror in Short and Feature Films. 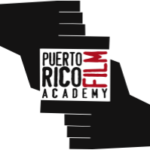 Born as the Puerto Rico Horror Film Fest in 2007 to put focus on independent high quality genre film, and since 2009 in the form of a competitive festival. Following its resounding success, the Puerto Rico Horror Film Fest was invited to become part of La Alianza Latinoamericana de Festivales de Cine Fantástico, Latin America’s premier horror film festival circuit. The '''Puerto Rico Horror Film Fest''' became a point of reference for the Hispano American production of fantastic films. It is also a point of entry for movies that would otherwise not be shown in Puerto Rico due to the level of specialization of their genre. The Festival is increasingly growing in terms of programming, media relevance and, most importantly, in terms of attendees. As the Festival grows, it attracts more support from all sectors while maintaining the quality of the relationships it has always had in the arts communities. The importance of the arts and alternative film showcase creates the interest of a wider audience making the Festival an appealing story to both the mainstream and alternative media. In 2016, the Puerto Rico Horror Film Fest became LUSCA Caribbean International Fantastic Film Fest, retaining it identity in Lusca's Horror selections. The Festival will recognize a number of films in several categories. A portion of the votes will be calculated by counting the votes sent in by the public via text messages and/or electronic ballot on the Internet. This way, the public attending the Festival will have the opportunity to let their choices be known, which will, in turn, count towards the selection of those works that will be receiving awards at the Puerto Rico Horror Film Fest. As organizers of the LUSCA Caribbean International Fantastic Film Fest and the Puerto Rico Horror Film Fest, we are always willing to review your comments, inquiries or questions regarding the Festival. On this page we've included various addresses, as well as a form, which is directly received by the creators of the page. We’d love to hear from you! Send us your comments and suggestions to: staff@lusca.net. You’ll hear from us shortly.